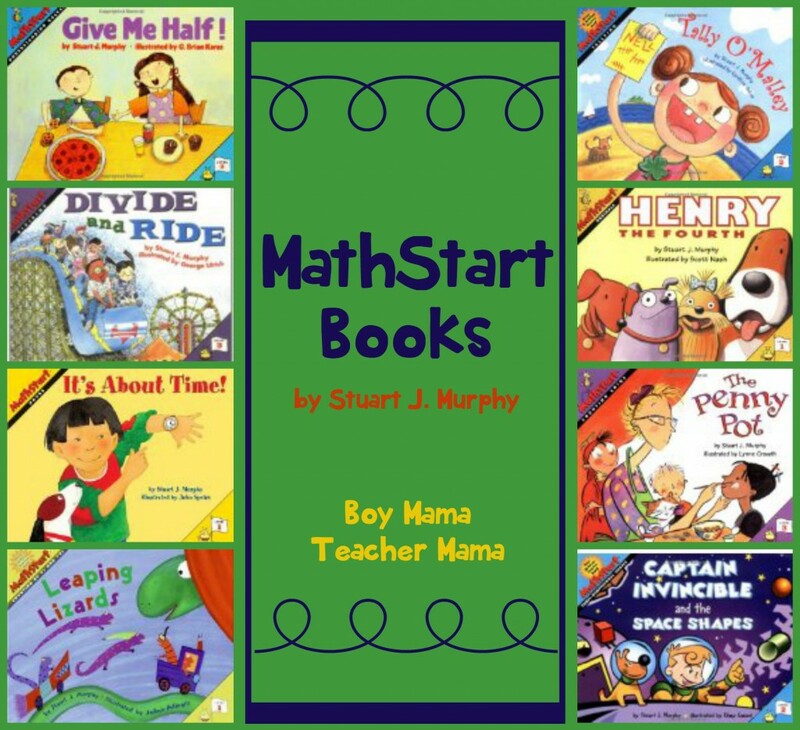 There are so many wonderful books available today that address math concepts. 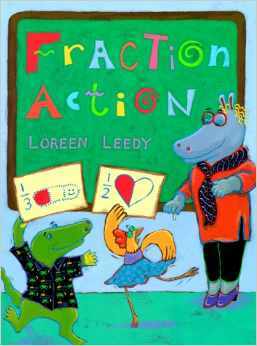 Here are a handful of books about fractions! 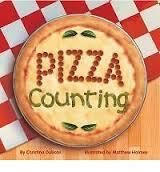 A simple and fun way to teach kids about fractions using everything day items like money and pizza. 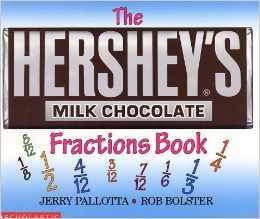 If you were a fraction you would be part of a whole! You could be part of a pizza or an apple or a pie. What else could you be part of? Siblings share a lunch and discover how fun fractions (and sharing) can be! 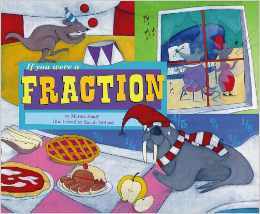 Miss Prime and her students have fun with fractions around the room. Miss Bloom runs the Strawberry Inn. 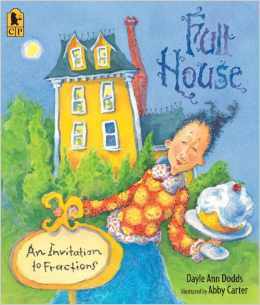 One night when the inn is full and Miss Bloom thinks all are in bed, she senses something is amiss. She goes downstairs and sees all the guests sharing ONE cake. 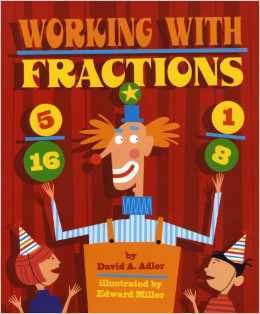 Student will love figuring out the math with this hilarious cast of characters. 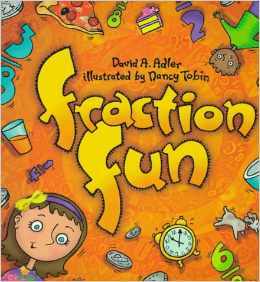 This book deals with all sorts of mathematical concepts- even fractions! 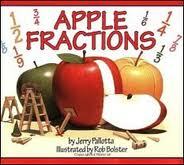 Fractions are EVERYWHERE! At the playground, at the dinner table and even at birthday parties! 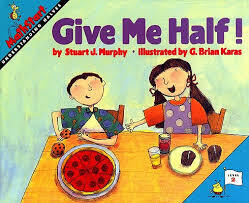 When wanting to get your fair share, fractions are there to help! 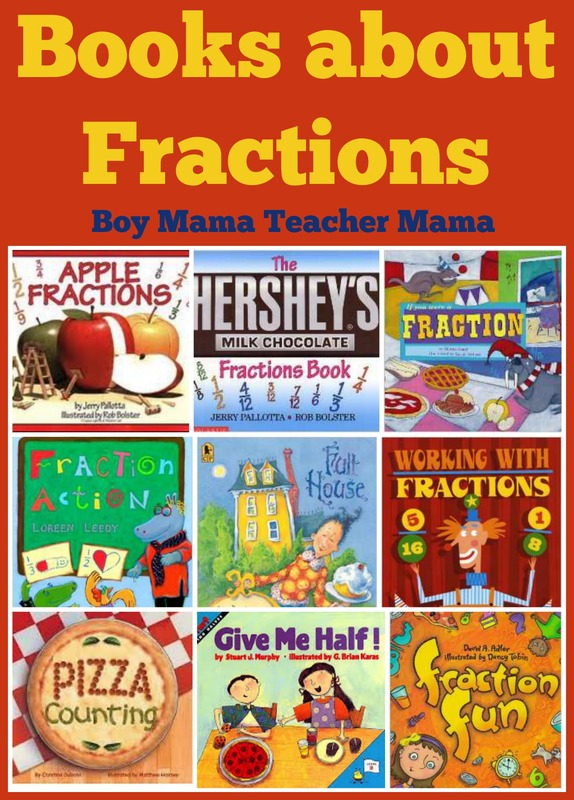 What a great list and perfect for my oldest son, who’ll be working on equivalent fractions this year. 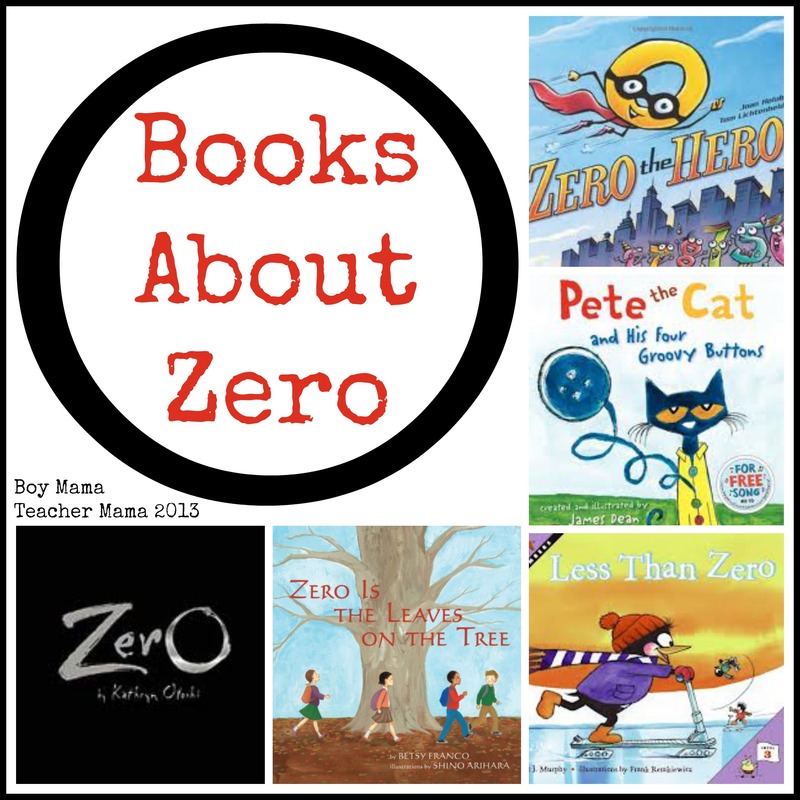 I’ve pinned it to my Children’s Books board so I don’t forget what a great resource this is!